Pakistan in its dealings with India and the rest of the world is posing as a victim of injustice in relation to Kashmir, which it claims as the 'core issue.' This is subterfuge meant to conceal its real agenda of Jihad against Hindu India. Its sees terrorism and diplomatic duplicity as the principal weapons in advancing its agenda. This is clear from its "TERRORIST MANIFESTO," a book called The Quranic Concept of War (see above), which is required reading for all Pakistani officials, both military and civilian. 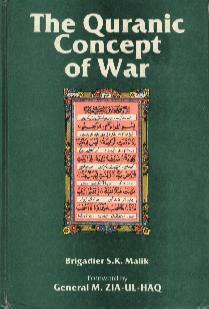 An Urdu summary of the book titled Jihad is carried by all Pakistani soldiers and terrorists. The web site The Jihad State summarizes the various aspects of Pakistan and its present and likely future impact on the region.